Charles Darwin's On the Origin of Species, arguably the most important book written in English in the nineteenth century, transformed the way we looked at the world. It is usually assumed that this is because the idea of evolution was so staggeringly powerful. Prize-winning author George Levine suggests that much of its influence was due, in fact, to its artistry; to the way it was written. Alive with metaphor, vivid descriptions, twists, hesitations,personal exclamations, and humour, the prose is imbued with the sorts of tensions, ambivalences, and feelings characteristic of great literature. Although it is certainly a work of "science," the Origin is equally a work of "literature," at home in the company of celebrated Victorian novels such as Middlemarch andBleak House, books that give us a unique yet recognisable sense of what the world is really like, while not being literally 'true'. Darwin's enormous cultural success, Levine contends, depended as much on the construction of his argument and the nature of his language, as it did on the power of his ideas and his evidence. 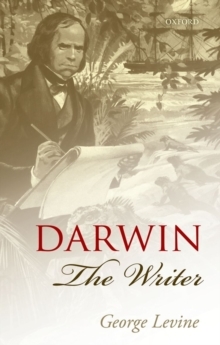 By challenging the dominant reading of his work, this impassioned and energetic book gives us a Darwin who is comic rather than tragic, ebullient rather than austere,and who takes delight in the wild and fluid entanglement of things.